Janine Roth is a senior executive with extensive experience in strategic and business planning, sales, business development and partner management. She has global leadership experience in high technology companies ranging from start-ups to large Fortune 500 companies. She is a decisive manager able to handle complex business issues in a wide variety of technology arenas and global regions and has conducted business in 26 countries. She is currently on the board of Child Bereavement Center, the FIU Vice Provost Executive Council, and the advisory boards of EveryMundo and Novopayment. She also mentors and screens early stage businesses for Endeavor in Miami. She served on the boards of TriCipher, Inc. (now VMware), Crescendo Networks, Ltd. (now F5), Tablus, Inc (now RSA/EMC), Netli, Inc. (now Akamai), Mistletoe Technologies, Inc and the Silicon Valley/San Jose Symphony. Janine is currently Managing Director of Business Development Strategies, working with early stage companies on their business growth and funding. She was Vice President of Latin American Sales and Operations at International Game Technology. Prior to that she was President of Crescendo Networks where she started up the US HQ in Menlo Park, CA, secured both Silicon Valley and Israeli funding for the venture. 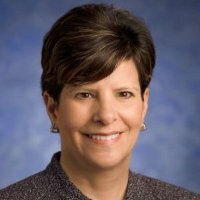 Janine was VP of Business Development/Strategy at Netscreen Technology taking the company public on NASDAQ and then to acquisition for $4B. She was Senior Vice President of Centigram Communications, and also held management positions at BellSouth International, DEC, Touche Ross and AT&T Bell Labs. She has a Masters in Computer Science from the University of Wisconsin and a Masters in International Management from Thunderbird (American Graduate School of International Management), as well as a Bachelor of Arts from Indiana University.